Hog’s Breath Cafe is an American style steakhouse that specialises in steaks (DUH), burgers and curly fries – btw they’re sold in Costco yay. I asked for medium rare, but the steak that served to me was definitely more on the medium side. The steak was lukewarm, and was just, how should I put it, average, if not below. The garlic mushrooms on top added some flavour, but still couldn’t save the steak. The salad was plain, the best thing on the plate was probably the curly fries, because they were curly strips of potatoes deep fried. My friend order something on the lighter side of things, and she loved it. 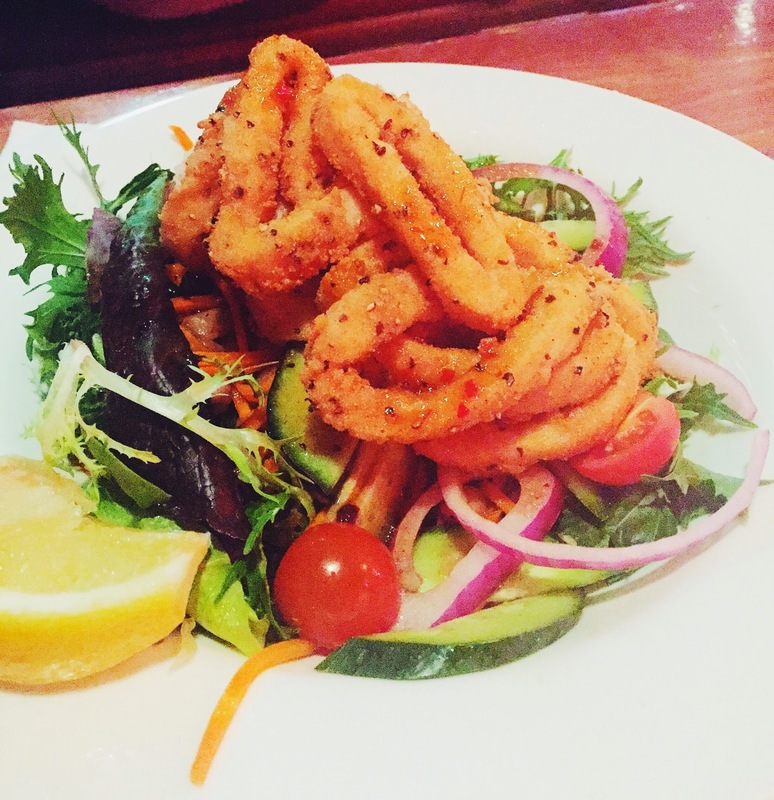 The calamari had a light batter, and the dressing on top was acidic, and had a bit of a kick to it which was nice. 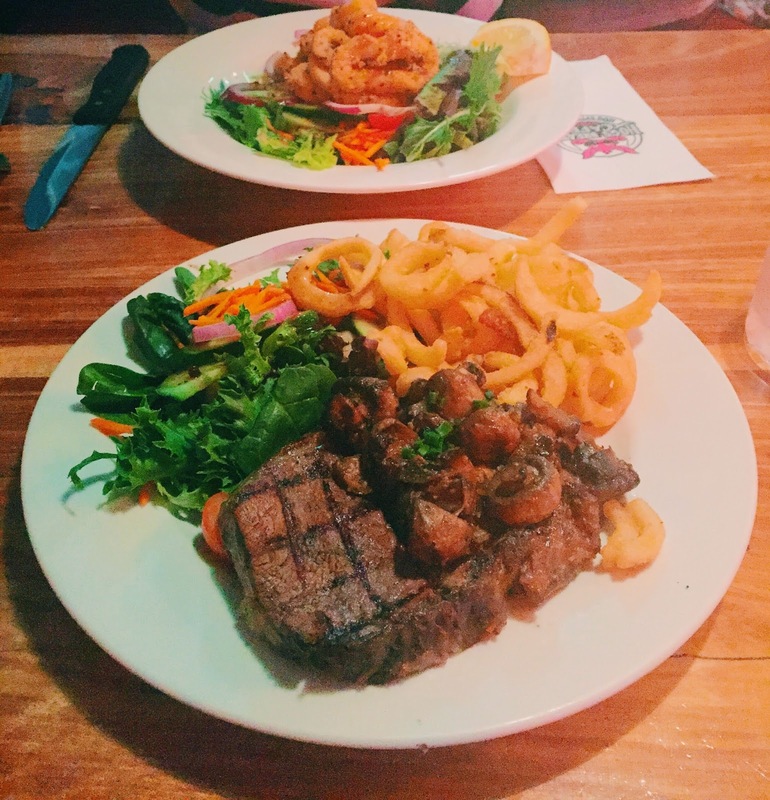 I wouldn’t recommend Hog’s Breath to anyone that’s looking for a decent piece of steak, I’m sure there are many great restaurants out there that serves up some good steak within a similar price range. Hog’s Breath Cafe is located in Knox O-zone of Knox City.